Hello, blog fans! You were meant to be reading this yesterday, but I was in the throws of what I'll call a severe book-over. No, not a hangover, but the ill effects of staying up far too late reading. You know when just one more chapter leads to a never ending reading session, and before you know it it's 6 am? It left me feeling a bit zombie-ish yesterday. Add to that some missing photos, a majorly broken nail (which meant no retaking said missing photos) and no resolve to get this blog post finished. 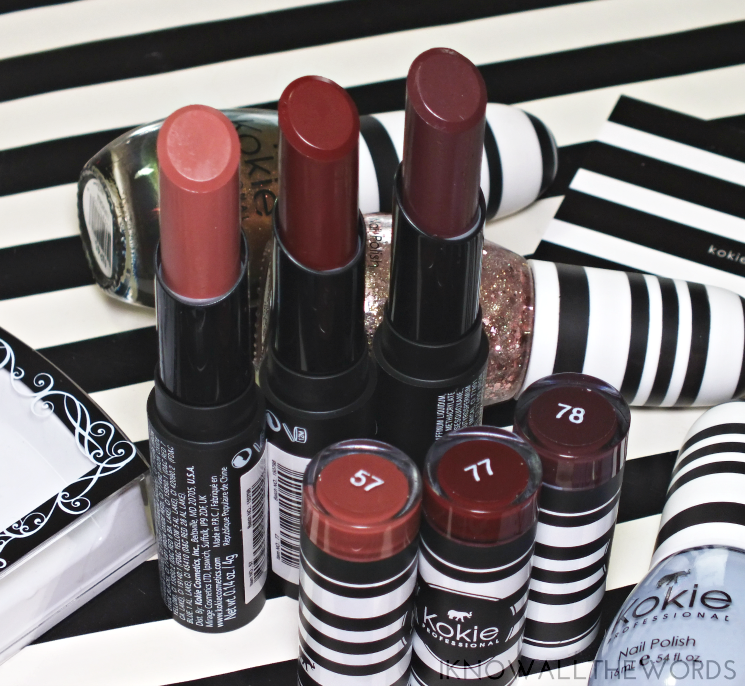 I can report I am well rested now, and fully ready to chat about a few stripe-clad Kokie Cosmetic bits. Read on! 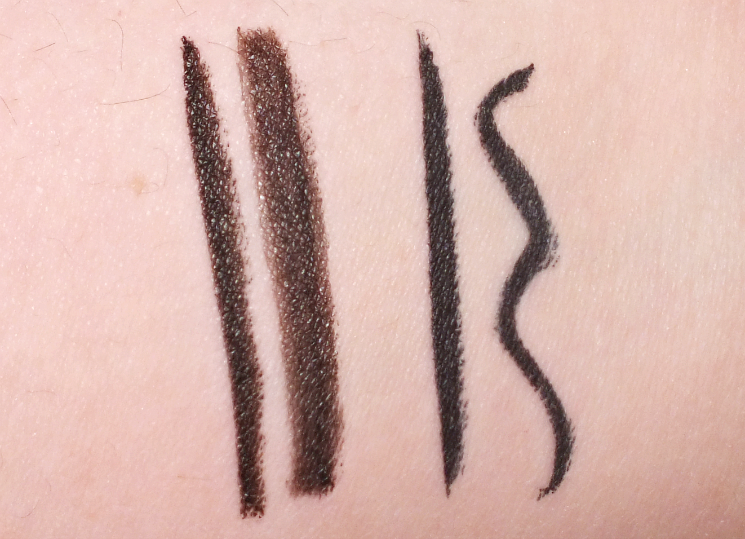 As a liquid liner lover, I am always interested in trying inexpensive options to see how we'll they'll fare. 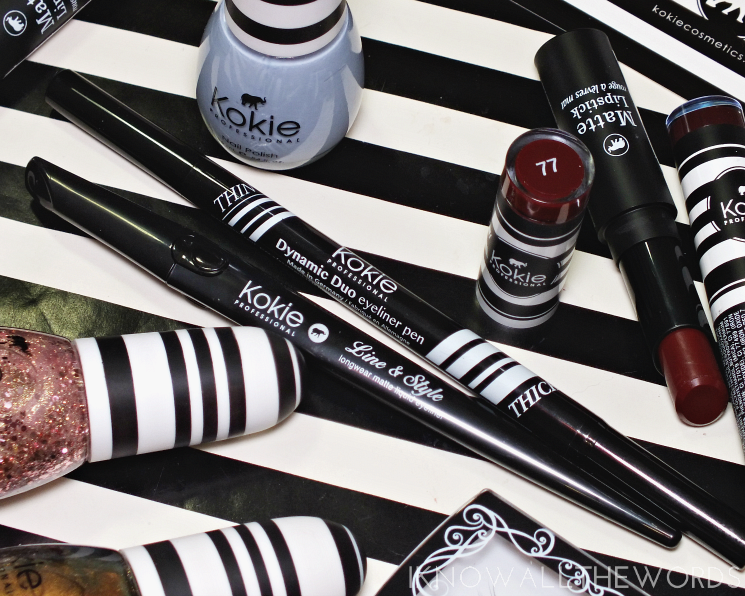 Kokie offers a few liquid options with the Line & Style Longwear Matte Eyeliner and Dynamic Duo Eyeliner. Neither are waterproof, but do stand up to a day of wear very well and remove with just a bit of micellar. The Line & Style offers a matte finish that is deeper and a truer black shade than the Dynamic Duo. It has a long tapered, felt-tip brush that gives excellent control for fine lines and crisp wings. It's my preferred liner of the two. 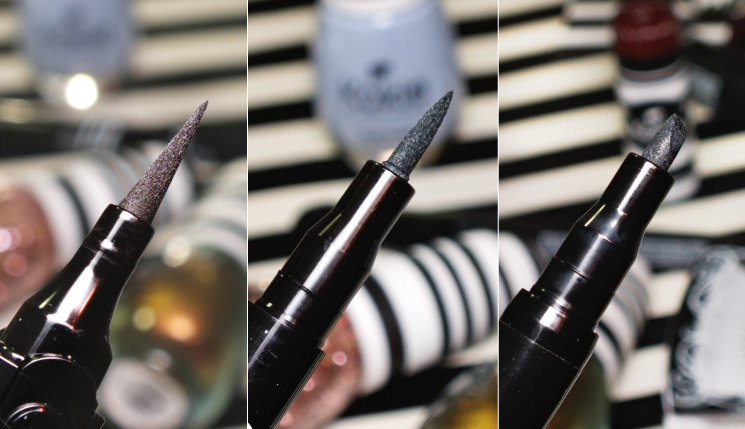 The Dynamic Duo is a double ended liner with a finer end and a chiseled end. Both ends can create finer lines depending on how you use the tip, but I do find it takes a bit more maneuvering with the chiseled side to create a wing. Next up, lashes. Did you know I'm a lash addict now? I was never much for them but I discovered a major love for falsies. The FL687 are a half set style that are fairly natural looking on, but give added length and fullness. They band is quite thin, which helps keep them light and comfortable and the included glue was decent. The small tube is very fiddly though and opening it is hard on the nails. 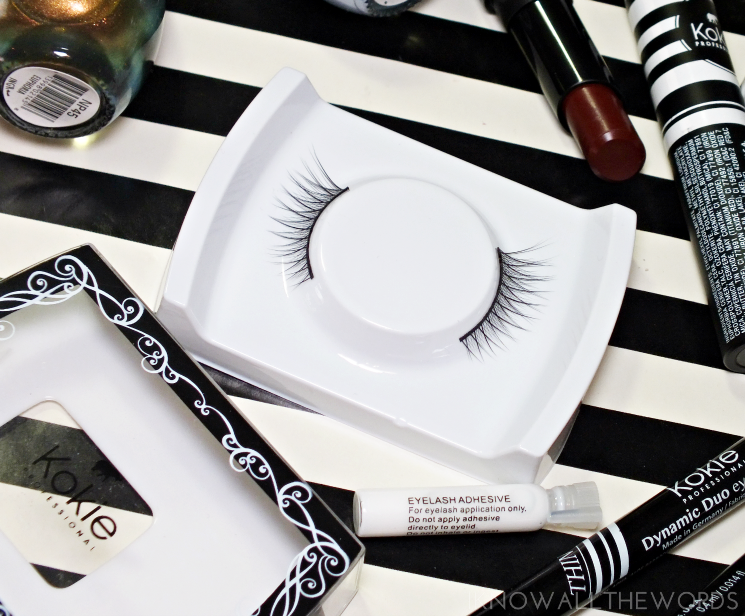 Points for packaging though, as it's great for storing lashes once they've been worn and is sturdy enough to hold up in a makeup bag. I know... I'm not one to rely on a wheel for polish swatches but I deleted the swatches I took last week. There was an unfortunate nail-tastrophy that makes taking new photos a no-go. So, wheel it is. 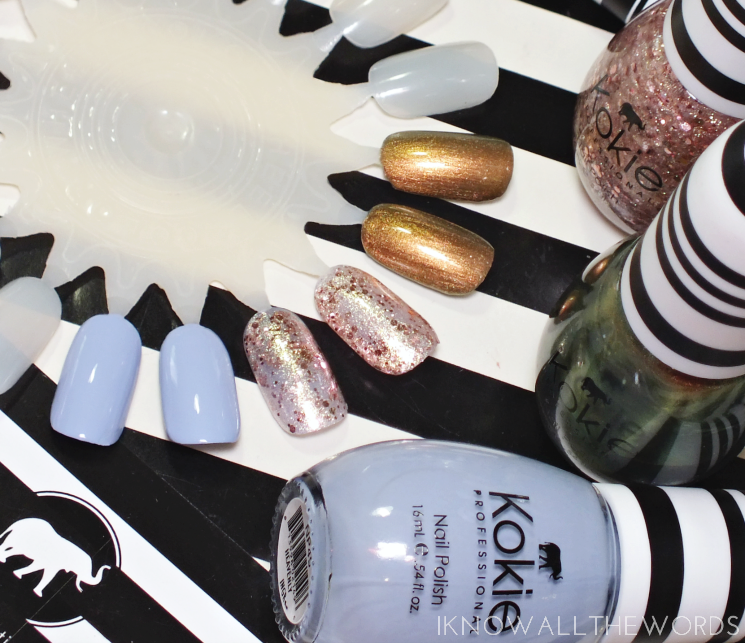 Kookie has a wide range of polish shades for a new brand, of which I've tried three in varying finishes. Heavenly is a pretty light blue cream that almost gets to periwinkle territory. I love blues like this! Two easy coats. Euphoria is a green/antique gold/blue chromatic shade in the bottle, but I don't find a lot of the transformation shows on the nail. The shade ends up having more of an antique gold or dirty green look on nails. Formula starts sheer, but builds in two coats. 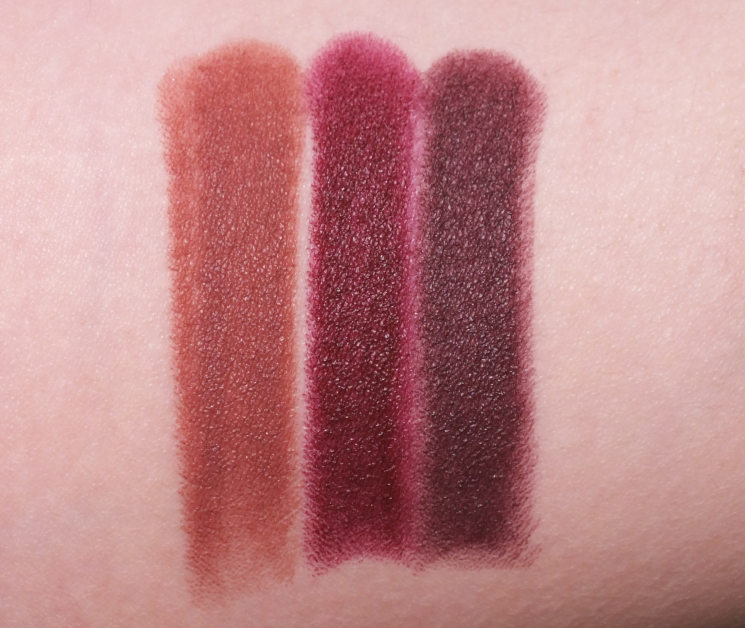 Of the 24 shades currently available, I've used High Tea a taupey light brown, Pinot an red based burgundy, and Vamp a deep purple-wine. All gorgeous and easy wearing. They wear for hours and fade evenly. They're pretty great. 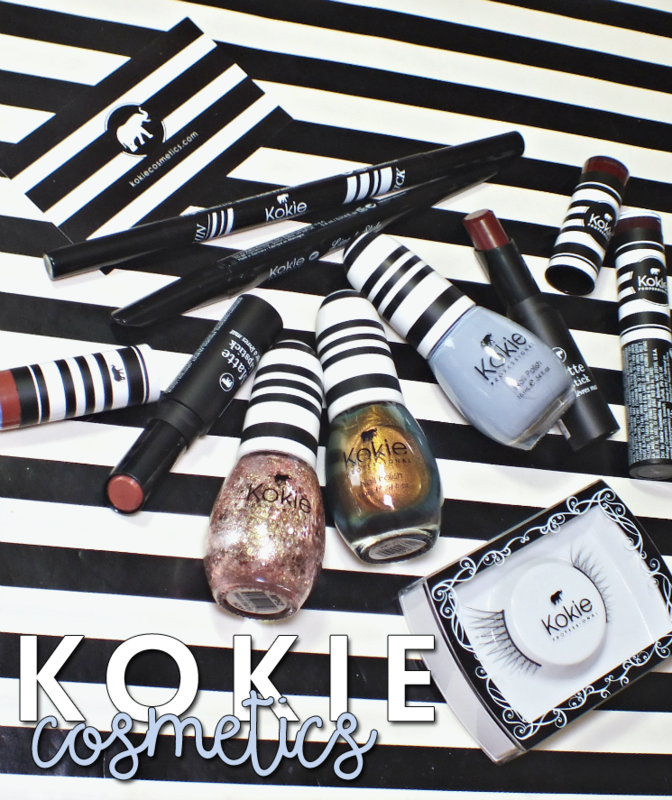 Overall, I'm a fan of Kokie! Based on their website, they're currently available at Bed Bath & Beyond, Harmons and Harmons Face Values, and Christmas Tree Shops. You can also order directly from their website with shipping to the US and Canada (no polish though). What do you think? Interested in any of these products? Tried anything from Kokie?